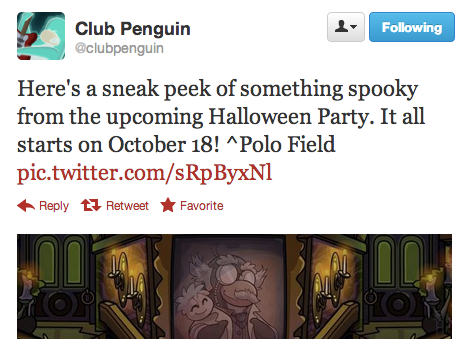 Club Penguin Tweeted a new Halloween sneak peek, check it out! This party seems pretty cool. But nothing can compare to the Zombie Apocalypse party back in 2004! What is your all time favorite party!? What zombie party in 2004? Clubpenguin opened in 2007..... what are you even talking about? Good thing I just got my membership!! Zombie apocalypse party? What are you talking about dude? @anonymous LOL CP Opened in 2005. I bet you think you're rare.